Waterproof plastic table. 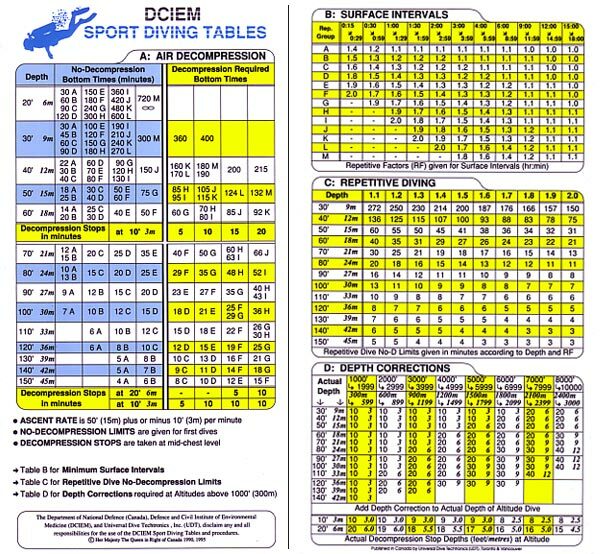 4 3/8" x 7 3/4"
The DCIEM Sport Diving Tables were developed at the Defence and Civil Institute of Environmental Medicine in Toronto, Canada. DCIEM is a world leader in the field of decompression research. (D) depth corrections for altitude dives. In addition to repetitive diving procedures, guidelines are also provided for multi-level diving.